Rebecca Ostertag, Kolby Santiago, Kirk Mikami and Keiki Kawai‘ae‘a will be recognized for their achievements along with other UH award recipients at the annual Convocation ceremony to be held at 10 a.m. on Tuesday, September 27, 2011, on the UH Mānoa campus. The University of Hawai‘i at Hilo honored four faculty and staff members for their dedication and extraordinary contributions to the university. Chancellor Donald Straney presented the Award for Excellence in Scholarly/Creative Activities to Rebecca Ostertag, Professional Staff Award to Kolby Santiago, Outstanding University Support Employee Award to Kirk Mikami and the Koichi and Taniyo Taniguchi Award for Excellence in Innovation to Keiki Kawai‘ae‘a. Ostertag is an associate professor of biology and the recipient of the Award for Excellence in Scholarly/Creative Activities. 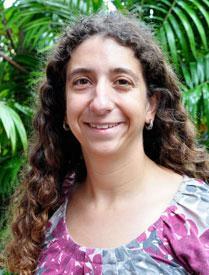 She is a highly productive research scientist with a prolific and consistent publication record. Ostertag emphasizes the “art” of doing science in her teaching, including how to read the primary literature, develop independent research hypotheses, collect and analyze data, and present the findings. She shares her love for science through her mentoring and continuously receives high teaching evaluations for her hands-on approach and encouraging style. Santiago is a financial aid counselor in the student affairs office and the recipient of the Professional Staff Award. She counsels and provides information and support for students and parents on financial aid. While the number of applications has increased dramatically since she started 10 years ago, she has never complained about having double the workload. Santiago is dedicated to her job and works hard to help students receive much needed financial assistance. A true team player, Santiago really cares about the students and is well-respected by all those who work with her. Mikami is an accounting clerk in the business office and the recipient of the Outstanding University Support Employee Award. He has contributed to countless improvements to the existing processes and procedures and is always looking to make operations more efficient. Mikami always exemplifies excellent customer service to everyone he works with. Whenever a problem arises, he takes the initiative to take ownership of it and follows through to its resolution. 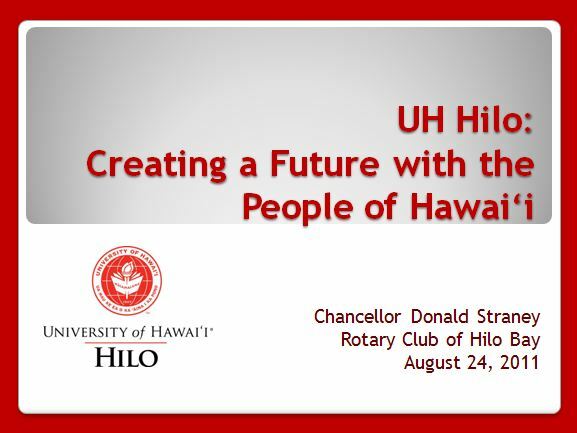 His attitude is that everyone pulling together can make UH Hilo a better place to work and a better place for students to get a true education. 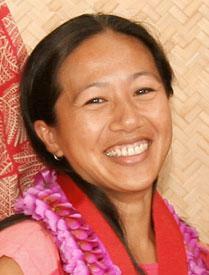 Kawai‘ae‘a is an assistant professor at the Ka Haka ‘Ula o Ke‘elikōlani College of Hawaiian Language and the recipient of the Koichi and Taniyo Award for Excellence and Innovation. 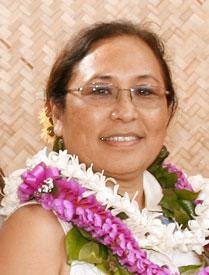 Kawai‘ae‘a has been instrumental in the development of the Nā Honua Mauli Ola Hawaiian cultural pathways and the Moenahā culture-based curriculum design and instructional method that impact native learners in culturally healthy and responsive ways. 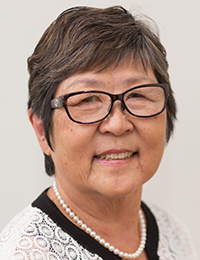 She is a true role model and continuously demonstrates unwavering determination to fulfill goals of excellent teaching while reviving the Hawaiian language. 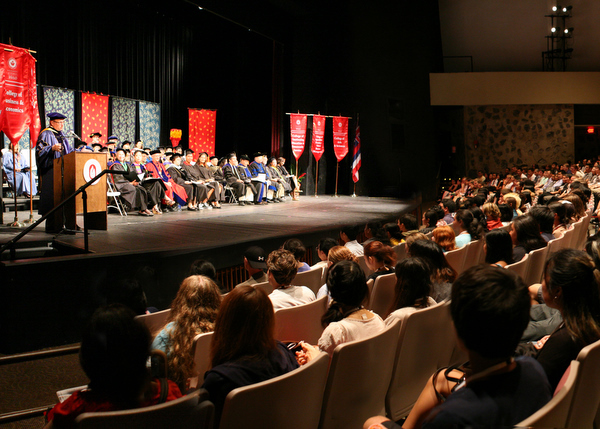 Ostertag, Santiago, Mikami and Kawai‘ae‘a will be recognized for their achievements along with other UH award recipients at the annual Convocation ceremony to be held at 10 a.m. on Tuesday, September 27, 2011, on the UH Mānoa campus. The ceremony is open to the public at no charge, and no reservations are needed. For more information on the awards ceremony, visit https://www.hawaii.edu/about/awards. The UH Hilo community honored the four in May at the 2011 UH Hilo Awards and Recognition Celebration. 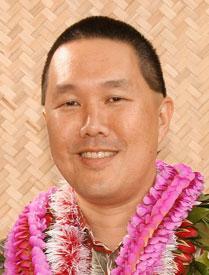 Click here for pdf of Rotary Club of Hilo Bay’s newsletter Baywatch about the August 24 meeting. 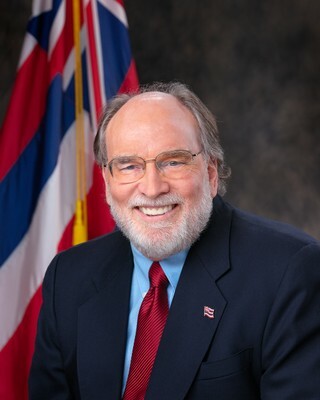 Governor Neil Abercombie will be announcing his “Hawai’i Broadband Initiative” at a press event at the University of Hawai’i at Mānoa campus, Tuesday, August 23, from 1:00-2:00 pm. The Governor will be sharing his plans for expanding broadband, or ultra high-speed Internet access in Hawai’i. 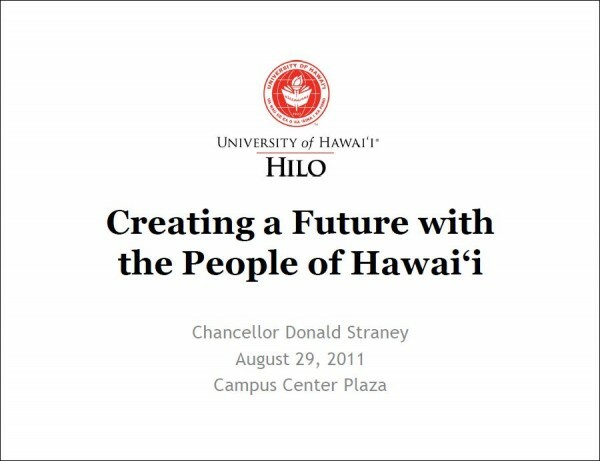 UH Hilo will be hosting a live videoconference of the event in Library Classroom 344. Faculty, students, and the general public are invited to attend this videoconference. Parking for fee is available. The 2011 New Student Convocation was held on Tuesday at the University of Hawai’i at Hilo Performing Arts Center. Chancellor Straney addresses new students at the 2011 New Student Convocation.